Scottie Hopson, 90, lifelong Panhandle resident, passed away Friday, February 1, 2019 at the Beaver, Oklahoma Hospital. 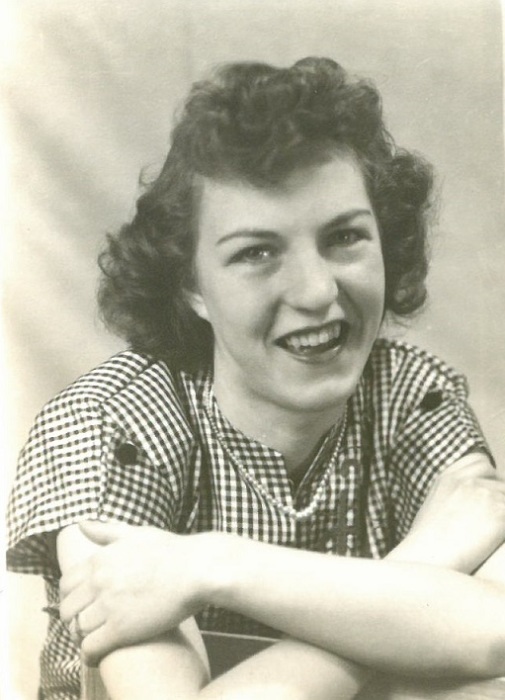 Scottie Louise Wooten was born February 3, 1928 in Weatherford, Oklahoma to Carl Wooten and Damie Lee (Smith) Wooten. The Wooten family moved to Goodwell in 1935, where Scottie’s dad was a coach at Panhandle A&M College. The family moved to Texhoma, Oklahoma where she finished high school, graduating with the Class of 1946. Scottie met the handsome Army Air Corp airman, Irvin Hopson when he returned from World War II and they were united in marriage on June 3, 1946 in Texhoma. This marriage was blessed with four children, twins Dwight Dee and Dwayne Lee, Richard Dean and Deborah Kay. Scottie raised her family and in 1965 she was able to finish her degree at Panhandle State in Elementary Education. Mrs. Hopson was an educator that loved her Texhoma kindergarten and later, 2nd grade students, teaching them much more than reading, writing and arithmetic. Scottie and Irvin moved to Beaver, Oklahoma in 2008, to be near their daughter, Debbie Starr and family. They were long time members of the Texhoma United Methodist Church where Scottie enjoyed volunteering and singing in the choir. They later attended the Beaver United Methodist Church. She also enjoyed golf, bridge, playing pranks on people, coffee with her friends and anything her grands and great- grands did. Scottie’s children, grandchildren and great grandchildren were her pride and joy. The legacy of Scottie’s kind spirit, passion for sports, and zest for life will live on through them. She is preceded in death by her parents, her beloved husband, who passed away in 2015 and a sister, Delores Lewis. Scottie is survived by her children and their spouses, Dwayne and Debbie Hopson of Lake Kiowa, TX, Dwight and Carol Lee Hopson of Ft. Collins, CO, Richard and Connie Hopson of Canyon, TX, Debbie and Dean Starr of Beaver, OK, and one brother LeCarl “Bill” Wooten of Oklahoma City. She was MaMaw to her eight grandchildren, Melissa and Mark Cuthbertson, Brianne and Jason Cottingame, Cameron and Tonnia Hopson, Damie and Brian Jones, Chris and Kim Hopson, Chad Hopson, Greg Adkins, and Robin and Shane Metcalf and her seventeen great grandchildren, Nathan, Austin, Hannah and Emily Cuthbertson, Jaker Cottingame, Noah, Abigail and Ariel Hopson, Elizabeth Jones, Jacob and Jonah Hopson, Jackson and Hayden Adkins, Dayton, Dawson, Dillon and Devry Metcalf. Viewing will be Thursday evening, 6-8 PM at the Henson-Novak Chapel, 709 S First Street, Texhoma. Funeral services will be Friday afternoon, February 8th, 1:00 PM at the First United Methodist Church, 301 W Main, Texhoma. Interment will follow in Texhoma Cemetery. Memorials may be given to Texhoma Pride, c/o Henson-Novak Funeral Directors, P.O. Box 1306, Guymon, OK 73942.